BuzzFeed cited Hawaii Guide regarding destinations to visit before you're 30, in December 2015. The Weather Channel cited Hawaii Guide in a science article on the Green Sand Beach, in October 2014. Travel+Leisure has cited Hawaii Guide in reference to Hawaii's National Parks and when to visit Hawaii in both 2015 and 2017, respectively. CNN featured various waterfalls found on the Hawaii Guide website in a travel story featured in August 2014. FOX News featured Hawaii Guide in an article about the world’s most colorful beaches, including the Big Island’s Green Sand Beach in February 2013. Fox also cited Hawaii Guide in an article about the world's most amazing waterfalls in January 2013, in October 2014, and again in February 2016. MSN has featured Hawaii Guide in articles such as Hawaii's most beautiful 'secret' locations, 25 beautiful reasons to visit Hawaii, and more, in both 2016 and 2017. USA Today has featured Hawaii Guide as a source for multiple travel tips, including hotels, swimming locations, wedding/honeymoon information, and more, for many years now. Hikerly has referenced and referred visitors to Hawaii Guide for years regarding various trails found throughout the Hawaiian Islands. reddit has featured Hawaii Guide through multiple topics asked by users, including the best things to do on each island, honeymooning in Hawaii, hiking, backpacking, and much more. lifehack has featured Hawaii Guide in three separate articles, but most prominently within their article on 30 of the World’s Most Breathtaking Hiking Trails. 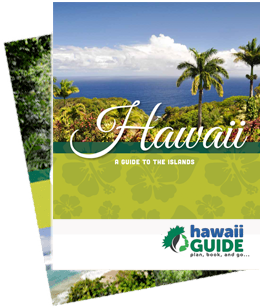 Fodors has cited Hawaii Guide on multiple occasions for various articles relating to Hawaii, including things to do, where to stay, car tips, Road to Hana information, general hiking tips, and more. NBC News and ABC News stations have featured multiple news and article-related stories on Hawaii since 2006. National Geographic cited Hawaii Guide in an article written in July 2014 on SUP (stand-up paddle boarding) in Hawaii. Budget Travel has featured Hawaii Guide in articles highlighting the nine most colorful beaches in the world. The Big Island’s Green Sand Beac, in particular, was noted. Today.com cited Hawaii Guide as a source on their homepage in May 2014. Wikipedia cites several articles to Hawaii Guide as a high quality travel source. The Sierra Club has cited Hawaii Guide as a reference on various hiking trail data. Runners World has featured Hawaii Guide in articles on where to run and exercise within Hawaii. Slate.com quoted Hawaii Guide, in 2008, regarding our initial use of Google’s 'Knol' encyclopedia product.